V-neck T-shirt. 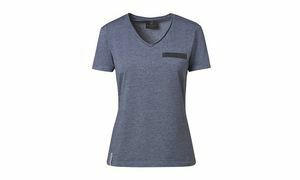 V-neck with raw edges. Breast pocket with matt black tape. Click on size charge for European conversion.